I had been so concerned about where I would find the wax for my candle project that I completely neglected to source rolls of wick. So here I am with a decent collection of reclaimed wax, both paraffin and beeswax, and no idea where I’m going to find wick. All I’ve found locally is pre-cut wick for pillars. I had hoped to dip my candles, so that won’t work at all. Today I’ll melt everything down and maybe filter the bits of old wick and sand out in the hope that I’ll find what I need before the end of the week. Does anyone have a good source for rolls of wick? Back in April I read about a couple of guys making candles in a beer can while on a ski trip. 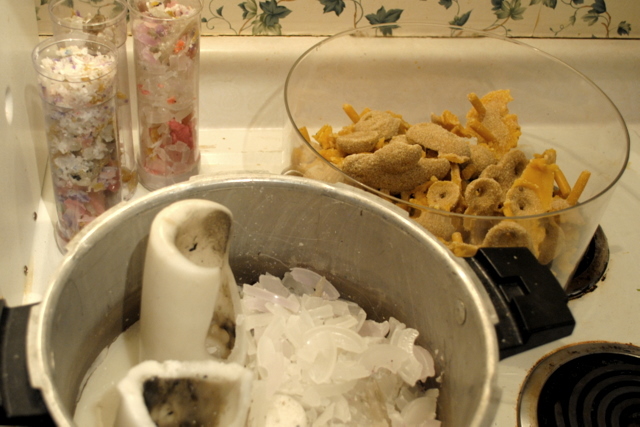 This article demystified candlemaking for me in a second. The time has now come to try it myself. We have a cache of old paraffin ready for reuse and I may also be able to get my hands on some beeswax. The process looks pretty easy. I’m excited to try it! We put our hooks in the clamp and watch! Tomorrow I’ll post our finished hooks and you can finally see the one I made. Here it is in a few steps. Come back tomorrow to see how we added our own decorative twist! See the photo above? That was me this weekend when I took a blacksmithing class. The sweat rolling down my nose and sizzling on the hot anvil. Flakes of iron scale flying as my hammer bent glowing iron to my will. My giant muscles rippling… well, you get the picture. 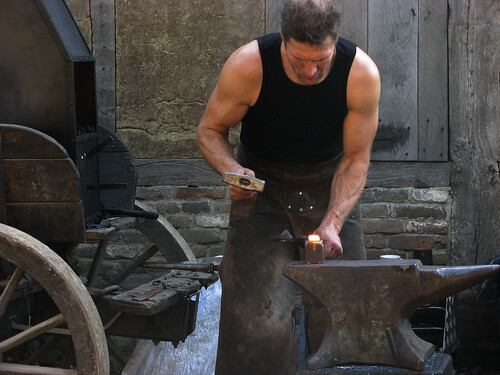 I really did take a blacksmithing class and I really did bend iron to my will, but my experience was more filled with interjections about how I couldn’t hold the hammer anymore and ow my shoulders. But still! I made a thing! Join me this week as I show you how I made an awesome iron thing. You are currently browsing the 50firstcrafts blog archives for September, 2011.